K&L are able to install a range of garden lighting and other electrical features to create beautiful garden light designs. 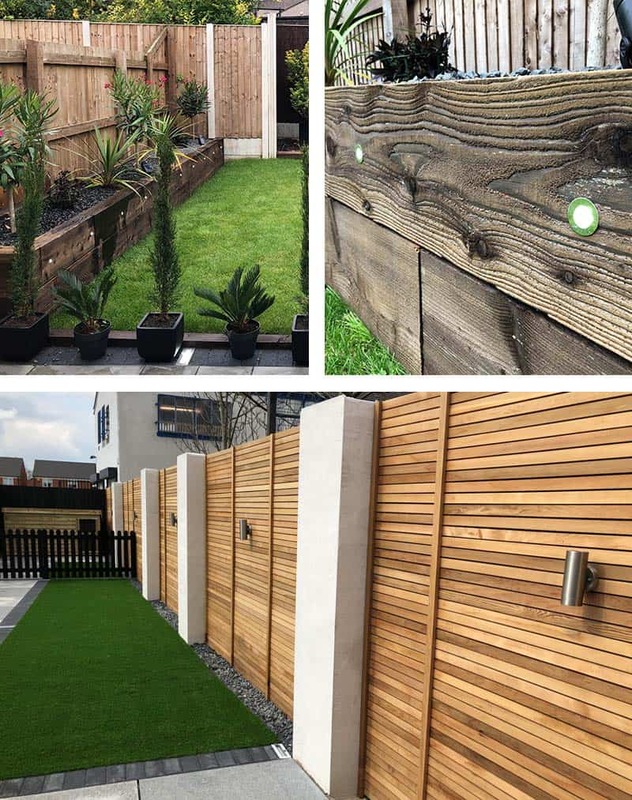 K&L are able to install a range of bespoke and affordable garden lighting and other electrical features to create beautiful garden light designs. This page is intended to help you to use electrical equipment safely in the garden and avoid electrical accidents. The risk of an electric shock causing serious injury or death, is greater outdoors than indoors, due to possible wet conditions and physical contact with the ground. An RCD is a safety device that switches off the electricity automatically when it detects an earth fault. Any socket-outlet that may be used for plugging in portable electrical equipment that is to be used outdoors, should have RCD protection. Check that you are protected by an RCD with a maximum rated residual operating current of 30 milliamperes (mA). If your socket-outlet is not protected by an RCD, purchase a good quality plug-in RCD adaptor from a reputable dealer, as a temporary measure. The safest option is to get a registered installer to install permanent RCD protection to all socket-outlets that may be used for plugging in 230 V outdoor portable electrical equipment. RCDs need to be tested quarterly by the users of the electrical installation, in accordance with the notice that should be fixed near them. This normally involves pressing the test button and checking that the RCD switches off the supply immediately. Regular testing is important, to ensure correct operation of the RCD mechanism in the event of a fault. Electric lawn mowers can cut through their own electric cables or those of other electric garden tools, causing a real risk of electric shock. There is also a risk of injury from contact with moving parts of the mower. • Unplug the lawn mower and wait until the blades have stopped rotating, before carrying out any activities such as cleaning grass blockages. • Following manufacturers’ instructions, checking the lawn mower is in good order, and being careful when cutting the grass, will reduce the risk of an accident. Electric hedge trimmers can cut through their own electric cables or those of other electric garden tools, causing the risk of electric shock. They may also injure anyone making contact with the blades. • Unplug the hedge trimmer before carrying out any activities such as removing jammed hedge trimmings. Incorrectly installed or damaged 230 V electrical water pumps in garden ponds, may create a serious electric shock risk in and around the pond, resulting in injury or death. This is because the risk of electric shock is higher in the presence of water. • Switched off when carrying out pond cleaning. If any defects are found, switch off the water pump’s electrical supply immediately and have the pump repaired by a competent electrician. • Kept as dry as possible. If any damage is found, unplug from the electrical supply immediately, and have the damaged items replaced. Always take care not to damage flexible cables and connectors. If an ‘inline-connector’ is required it must be correctly connected to the flexible cable ends by a competent person, in order to avoid danger from any incorrect connections being made, which might result in serious injury or death! When in use, extension cables that are coiled up on a reel can overheat, causing damage to the cable, which may in extreme cases result in fire. Such extreme damage may also introduce a risk of electric shock, which could cause injury or prove to be fatal. A fully unwound cable reduces the risk of it overheating, thereby minimising the risks of fire or electric shock. Do not use electrical equipment when it is raining or in areas that are being watered. The risk of serious injury and even death from electric shock, are far higher in wet conditions, than in the dry. Ground conditions may also be slippery in the wet, which increases the risk of an accident. Electrical equipment may also suffer damage in wet conditions. Using electrical equipment in the garden in dry conditions reduces the risk of an accident. Incorrectly selected, installed or damaged 230 V outdoor lighting installations may create a risk of electric shock, resulting in serious injury or even death. • If any faults are found, switch off the electrical supply immediately, and have them repaired.